If there’s one thing on most contractor’s minds these days, it’s employee compensation. A limited pool of workers is causing many construction companies to rethink pay structures and benefits to keep and retain the workers they need. With today’s construction skilled labor shortage, what have you seen to be the biggest changes to contractors’ compensation plans? Jeff: It depends on the sector and company organization. Though not necessarily new compensation methods, the use of sign-on bonuses, mobilization payments, per diems, and overtime has increased for companies that hire project by project. For those who maintain a fairly consistent employee base, base pay has been the single most important piece of compensation this past year, followed by annual bonus practices. Which factors should contractors consider when formulating their compensation strategy? Jeff: It depends on the level of commitment that a contractor wants to invest in the overall compensation program. The short answer is the compensation strategy needs to address the contractor’s overall business strategy and mesh with its human resource strategy (the compensation strategy is just a piece of the overall human resource strategy). In general terms, the compensation strategy identifies how the company wants to pay its employees as measured against market values. When you drill down into the business plan, the focus becomes more specific. For example, say part of a contractor’s business plan is to stay in the same construction sector, but move into a new geographic territory to expand their business. From an overall human resource perspective, this might identify the need to relocate primary managers and recruit “x” number of new managers, professionals, admins, and other staff to perform the work. The compensation strategy might then address the issue of whether to use one pay structure or two? If one structure, does the company have (or need) geographic uplifts between locations? And so on. Is there one thing contractors often forget about when it comes to compensation? Jeff: Construction is a dynamic industry (not static). Business conditions can change quickly and are continuously evolving to meet the contractor’s needs and responsibilities. These changing conditions can affect the contractor’s compensation programs. This means a quick review (not an overkill) of their overall program should occur at least every two to three years to ensure their program continues to meet both the needs of the company and the needs of the employee. What should contractors watch out for when it comes to compensation? Jeff: Pay compression. There are two basic ways this occurs. When contractors hire, they often end up paying the new people a higher wage than their existing employees, or entry workers demand a wage similar to an experienced employee, eliminating any pay differential for experience. Another scenario is when the company’s owner or executives pay themselves less than market value, maybe making it up in variable pay. One of my favorite sayings is “no one makes more than the president of the company.” So, if the president’s base pay is stagnant, then those below the president can hit a ceiling. Which compensation methods are the best at helping contractors attract, retain, and motivate employees in today’s extremely competitive market for talent? Jeff: All compensation programs have these three goals: attract, retain, motivate. Each pay element has a different impact on these three goals. For example, to recruit someone to your organization, you have to pay a competitive base wage. Nobody leaves their current employer for less money unless their work-life balance at that employer is horrible. Construction is a bonus-paying industry, so bonus or short-term incentive is almost expected and works well as a retention tool if the amount is meaningful. Short- and long-term incentives (if designed correctly) can be great tools to motivate employees to achieve a desired goal. 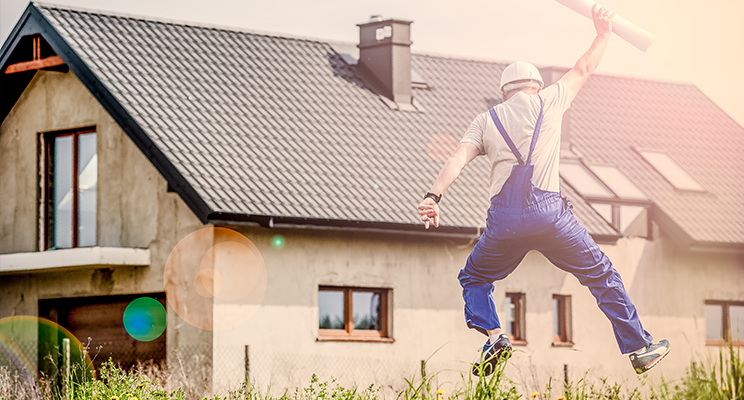 Benefits aren’t usually a driving factor in recruiting, but if the contractor doesn’t at least hit the major benefits in a competitive way, they can impact the recruiting and retention process. Jeff went on to say that construction companies differ in their level of sophistication and what they want to do when it comes to compensation. “Some contractors don’t need to do it all,” he said.